As a PC gamer, dusting off old games can be as entertaining as buying new ones. Unfortunately, you always run the risk of the old stuff not working on new hardware. While Call of Cthulhu: DCoTE is not MS-DOS ancient, it still has some issues with Windows 7. In this quick article, I will cover a couple issues I had off the bat trying to replay this gem that I never finished years ago. This error can be completely ignored and has had no impact on the game or videos. It is simply trying to install an older version of Windows Media Player. Of the multiple times this game will crash, this is likely the first one that people will encounter. Be sure to read below about other crashes. During the opening prologue, the game tends to crash as you open the trap door in the library. Thanks to the Wikipedia, there is a simple solution. 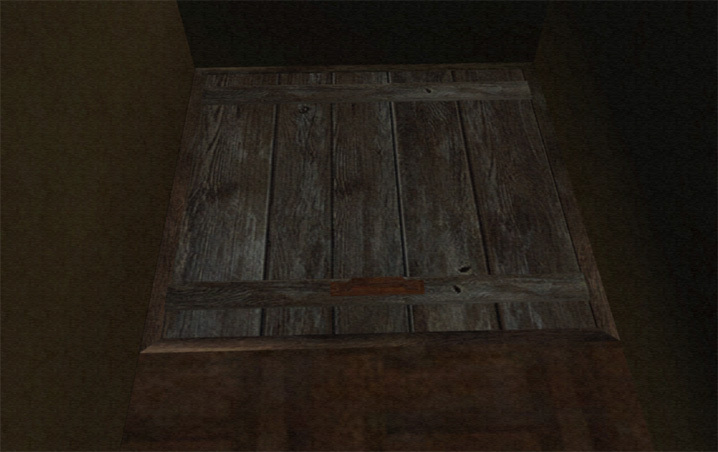 As soon as you open the trap door, immediately hold forward to move down the ladder. It worked for me the first time, but I would suggest saving around the corner before you try. Widescreen resolutions have long been the bane of enjoying old games. Sadly, Call of Cthulhu does not support widescreen resolutions, but it does do high resolutions. If you select 1920×1080, for instance, it will do a stretched high res picture. I would recommend doing a 1600×1200 and the aspect will be correct with black bars on the side.